Small spaces require small furniture or less of it, and that often translates into less surface area for drinks, plates or even books. 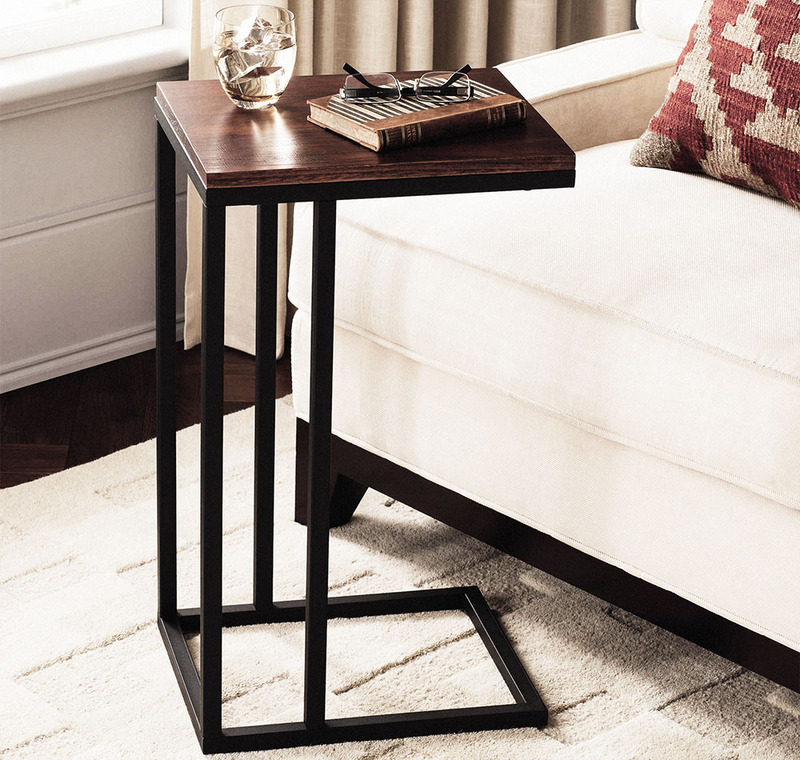 TV tables are the common solution, but their flimsy design can cause accidents. The Black and Tan Hamilton Narrow Wood Top C Table is a sturdy alternative to TV table that slides under your couch for out-of-the-way storage when not in use. The contemporary-meets-traditional design with a combination of dark-cherry colour wood and brushed black steel fits with almost any decor. It’s sturdy. You can use it as a secondary coffee table for drinks, books and food, or you can set up a little work station so you can type away on your latest project while the TV plays in the background. It is big enough to hold a your phone, a book and a drink. While the fairly small size (12” x 15” x 26”) makes it ideal for apartments, it does make a welcome addition to rooms with long couches or limited table access. Light weight, it’s easy to move around the house. All of the parts fit together snugly (some easy assembly is required), which means moving it won’t result in all of the pieces falling to the floor unexpectedly. A warning: the soft wood top is easily scratched, so if scratches make you cringe, don’t forget to use coasters.